Vous pouvez également utiliser 5200 Kobo Super Points pour l'obtenir ! There are no specific symptoms of metabolic syndrome, but it takes a toll on health. People with metabolic syndrome are 3.5 times more likely to die of a heart-related ailment and 5 times more likely to develop type 2 diabetes. The good news is that you can overcome this deadly syndrome. 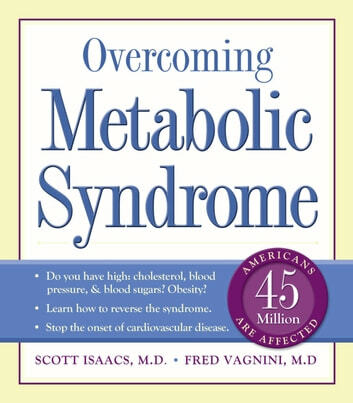 The authors of Overcoming Metabolic Syndrome, an endocrinologist and a cardiovascular surgeon, have treated thousands of patients; they know how to cut through the confusion and give you’re the basics about how you can restore your health. 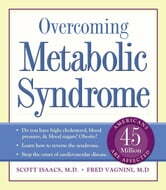 · How do I know if I have metabolic syndrome? · What is insulin resistance? Why is it a critical issue? · Why does insulin resistance make it so hard to lose weight? · What is the role of exercise, diet, and nutrition? · Which medications are used to treat the syndrome? A Clear and Simple Guide to Better Health! Kidney Stones Cure: How to Get Rid Of Kidney Stones with Home Remedies Including the Tips for Kidney Stones Prevention and Treatment!